Adventurers come in many varieties, from kayakers on torrid rapids, to climbers on granite faces, to trekkers across icy plains, and well beyond. But in the world of rock and pop music, they're as rare as the hairy-nosed wombat, and in peril of becoming as extinct as the dodo bird. 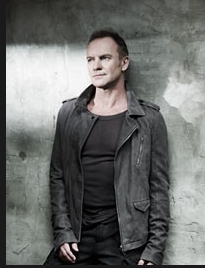 That's what makes Sting such a captivating subject of exploration and study: The former Police front man-turned-modern medieval minstrel has not only managed to maintain an unrestricted passport for musical exploration, he has also enticed sizeable legions of followers to go along with him. "He does have broad appeal," noted Jim Fusilli, rock critic for the Wall Street Journal as well as a successful mystery writer, "and in his own way, he's a risk-taker. Elvis Costello pointed out to me not long ago that Sting takes on challenging, niche assignments when he could just stay home and live off his royalties. "He's romantic and, even as he switches musical styles, his brand is consistent. He knows what he's selling: romance and tenderness, aimed at a mature audience; self-confidence and an intelligent sexiness." Between 1978 and 1983, the heart of the Police years, Sting became a household name about the same time that "Roxanne" did. When his association with mates Stewart Copeland and Andy Summers loosened and then fell away (until a recent reunion tour in 2007-08), Sting embarked on a solo career that has included landmark albums such as "The Dream of the Blue Turtles" (with "If You Love Somebody Set Them Free" and "Fortress Around Your Heart") and "Ten Summoner's Tales" (featuring "If I Ever Lose My Faith In You"). Throughout it, Sting has -- for the most part -- eschewed hooky pop gimmickry for music with far-flung influences and lyrics right out of an Oxford literary symposium. For example, the title of his 1987 collection "Nothing Like the Sun" comes from Shakespeare's Sonnet No. 130. His 2003 album "Sacred Love" included collaborations with hip-hop icon Mary J. Blige and sitar player Anoushka Shankar and also included the first quatrain of William Blake's "Auguries of Innocence" on the song "Send Your Love." For most of the way -- since 1990, to be exact -- guitarist Dominic Miller has been his faithful sideman. Speaking from Paris, where he is on a solo tour of his own in conjunction with his new album, "November," Miller recalled his first meeting with Sting and said he knew almost immediately that working with him would be unlike anything else he had experienced. "I walked into an audition in 1989 and I didn't know any of his tunes," Miller said. "I wasn't really prepared. I think that worked in my favor, because I just had to work off my own instincts as a musician. I think that's what he may have found attractive, an English guy with a bit of arrogance instead of someone worried about doing the right thing because I didn't know what the right thing was. I was just myself, and that's why we clicked. "Right away I found his sense of melody and his sense of rhythm and a feel for lyrics to be quite appealing, and in that sense we were made for each other." Miller said his working association with Sting is somewhat unusual in an ultimately positive way. "I find he's very open about ideas and direction," he explained. "With Sting, you're innocent until proven guilty. If he doesn't like what you're playing, he'll pull you over. If he does like what you're doing, he'll just let you do your job." Sting's last album, the Christmas-themed "If On A Winter's Night" (the title a nod to novelist Italo Calvino), was produced by Grammy winner Robert Sadin, who has worked with Herbie Hancock, Wayne Shorter, Kathleen Battle and many others. Sadin described Sting as a pleasant perfectionist, someone who strives to get the most out of every musical moment, then sometimes turns the process on its ear to get even more. "I've worked with great artists, but this is a man who will take a beautiful vocal performance and say, 'We need to try this another way,' which means abandoning the work, but then in most cases it will turn out to be even better." "To me it may not make sense, but he'll say, 'I'll make it make sense.' I never worked with anyone like that before." "When you walk down the street with him, you realize how deep, broad, wide, fat his fame is," Sadin said. "Everybody stops him on the street. Unlike a lot of people who reach a certain point and are still winning over the same audience they had 20, 30 years ago, Sting is still pursuing new things, and his audience feels the fact that he's always striving. He's not content to recycle what he's done. It's inspiring." "There are those in the business who think he's squandering his talent when he makes 'light' commercial pop," the Wall Street Journal's Fusilli said. "Stewart Copeland says as much. He's a great bass player who rarely plays bass in challenging situations, and he's a great rock singer who rarely sings rock tunes." But Miller cited an underlying intelligence as the probable cause of Sting's ability to maintain his appeal lo these many years. "I think it's because he is a thinking man," he said. "He hasn't stuck to a formula. The audience goes on a journey with him to see where he will go. Dare I say that other artists stay in the same format because it works. "With a Sting album you get a lot of risk, you get an artist who thinks deeply about where he is and where he is going."